Malawi used to be called Nyasaland before it changed its name. The country became a fully independent member of the British Commonwealth on July 6, 1964. The capital of Malawi is Lilongwe (also called Green City) which is the 2nd largest city in the country. The largest city is Blantyre. Maize was introduced into Malawi by the Portuguese and is still the staple grain of the country. The main crops that are exports are tea, sugar and tobacco. Lake Malawi was once called the “lake of the Stars by David Livingstone, the famed Scottish explorer. It is the only country in the world that has a Carlsberg factory apart from Denmark. The lowest point is the intersection between River Shire and the international boundary of Mozambique and the highest level is Sapitwa peak of Mount Mulanji. The climate is sub-tropical and January to March is the rainy season. The colder months are from May to July. August to December is the dry season. The natural resources are hydropower, limestone, uranium deposits, bauxite and coal. The ethnic groups include Chewa, Tumbuka, Nyanja, Yao, Sena, Lomwe, Ngone, Tonga, Ngonde and others. The major religions of the country are Christianity and Islam. The Malawian currency is Kwacha. The official languages spoken in this country are English and Chichewa. The local languages are spoken in the districts. Capital City: Lilongwe is the largest and capital city of Malawi with an estimated population of 1,077,116 for 2015. 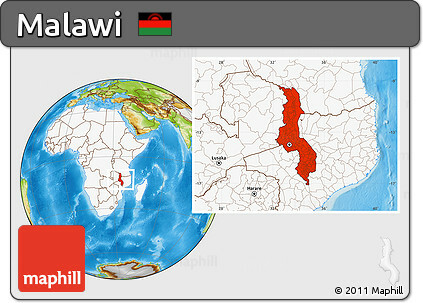 Religion: Islam is the second largest religion in Malawi after Christianity. Nearly all of Malawi’s Muslims adhere to Sunni Islam.